TORONTO, ON – Bellwoods Brewery has announced that it is bringing back the name of a beer that was available in the brewery’s early days, although the beer itself won’t be as familiar. We have come a long way as a brewery since then and have decided to repurpose this name for a beer that better reflects the direction of our brewery, and the flavours we target. 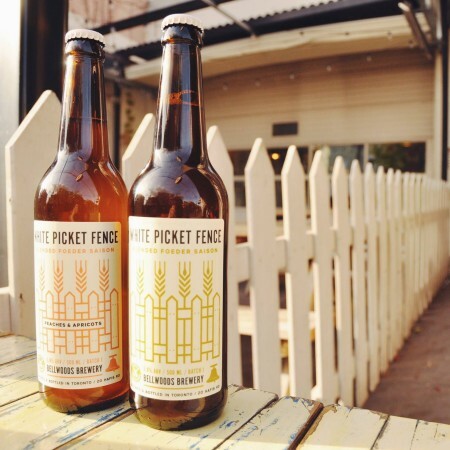 White Picket Fence is now a blended saison that was fermented and conditioned in our foeders. Batch 1 of the new White Picket Fence (5.8% abv) will be released this Saturday November 11th at both Bellwoods retail stores in two versions – a “neutral” edition, and “a small variant that spent time on peaches and apricots after blending”. The unflavoured version will sell for $10 per 500 ml bottle with no purchase limit, while the fruit version will cost $12 and be limited to 4 bottles per customer while supplies last.